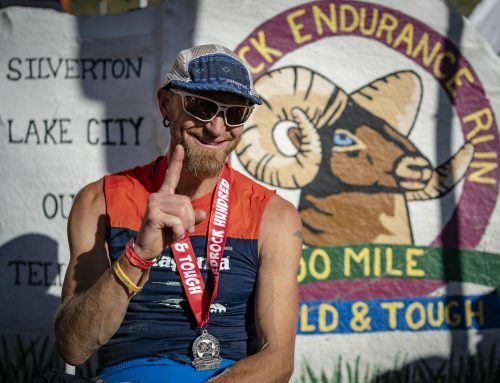 In the world of ultra running a lot of words are spent describing the experience of a race or an adventure from the point of view of the runner. This should not come as a surprise as the act of running long distances provides insights into the human condition that get to the core of what it means to be alive. 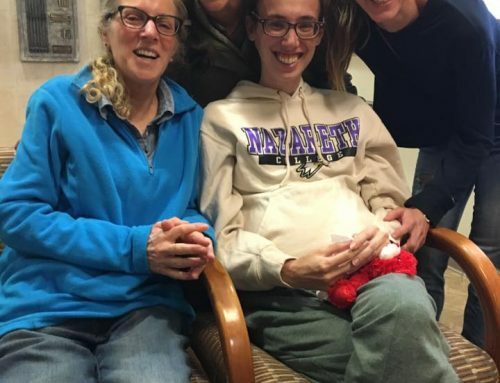 I don’t believe that is hyperbole either, and the articles and race reports that runners have provided to the rest of the community are invaluable in the wisdom they provide. And yet, always tucked away in these words are the references to the people that assisted along the way; the crew, the volunteers, the pacers, and fellow runners. This article will focus on that first category, crewing, and what it takes to create the magic. Whether or not a runner wants or needs a crew in part depends on what goal they are trying to accomplish. Whether it is a race, an adventure run, or a Fastest Known Time (FKT) attempt, the length and location will play a role. 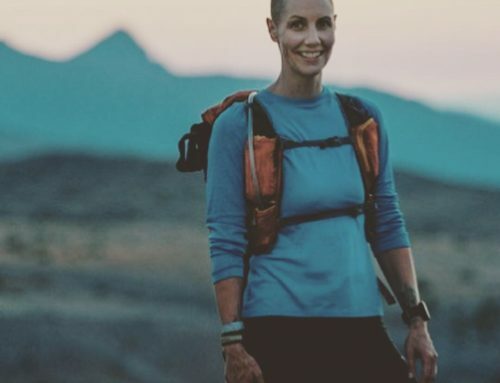 Specifically with an FKT attempt supported and unsupported are the two types, thus making which type of FKT the runner wants to go for a deciding factor in whether or not a crew can be involved. 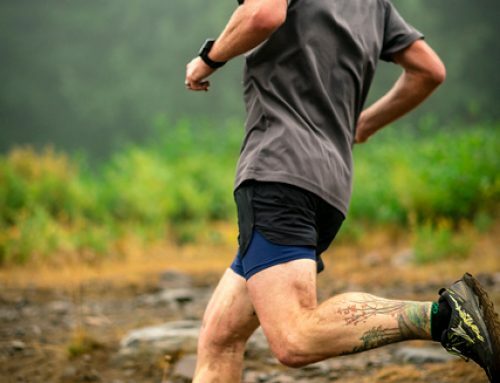 Ultimately the decision depends on the type of runner, as some enjoy the challenge of taking on an ultra with just the help of the volunteers at a race, and their own skill, grit, and determination. In order to keep things focused, this article will primarily revolve around what it takes to crew in a race environment. I made this decision for a few reasons. The methods you use to crew a race can be applied in other scenarios, and it is where I first learned how to crew. The main difference between crewing for a race, and crewing an adventure run or FKT attempt would be in the amount of time spent researching the logistics of the route. Since you do not have the race information to lean on for directions, location information, etc, more time needs to be spent researching these. Ultimately, after realizing this, I started treating races similarly to other adventures and will do my own research to compliment what a race has made available. It is a good habit to get into as it creates a much fuller view of the environment you are going to be in. As alluded to above, effective crewing begins with planning. One aspect of this is to show the runner that you are invested, thus helping to reduce their stress. To do this, start planning months before a race. A great place to start this planning is with the race website. Reviewing the race rules, cutoffs, Aid Stations that allow crew access, and the course will give you an idea of the logistical makeup of the race. Many races will have specific instructions for crews, so keep an eye out for that. As you are doing this review, I recommend getting the information into an offline format. I am a tech guy so my offline format of choice for general website information is either an app called Bear or saving to PDFs in Dropbox. For an offline version of the course I use Gaia, and for offline directions, I leverage Google Maps. In terms of getting the course into Gaia, most races will have a GPX file that you can download and then import. I do recommend paying for the subscription level of Gaia that gets you access to the National Geographic map layer. If you have used the paper Nat Geo trail maps these would be the same. You get to choose which map layers to download with your course, and I typically download both the Nat Geo and the Gaia Topo layers. When it comes to Google Maps, select a much larger area than you think you will need to download offline. Once you have everything downloaded, test in airplane mode. Zoom in and out of locations in Gaia, and move around on the course map to different sections. In Google Maps, test the routing between the various locations. If I am unable to find a trailhead via the search functionality when in airplane mode, I know that I need to star those locations when I am online so they are available offline. Lastly, test that you have access to the things you have saved to Dropbox (I use Dropbox as an example. OneDrive or Google Drive are also solid options). Bear is a great option as it automatically saves everything offline, but it is currently only available for Apple devices. While Gaia and Google Maps are the two main tools I use for navigation, I will also take the race course gpx and upload it to my inReach Mini. If the race provides specific directions to aid stations, printing out these directions is recommended as Google Maps will not always route you the best way on some of the more remote forest roads. Once all the navigation tools are prepped and ready, I start talking logistics with my runner. Where they want me to be, what are the essentials, what specific foods might be wanted and when, any words or phrases I should use or maybe more importantly, should avoid, and, of course, the timing of when to expect them at each location. Since most of my crewing has been for my wife thus far, most of these items have become second nature. That said we still go over everything at least once in order to make sure we are both on the same page. Creating this habit, even though it is routine at this point, helps ensure consistency. It also lets the runner know that you are thinking about these items, which in turn can assist in reducing stress for them, another critical part of crewing. Another part of the logistics discussion would be the use of drop bags. Not having drop bags may seem ok since there will be a crew, and depending on the ease of access to each crewing location it could be the right idea. That said, you never know what could happen on race day, and having drop bags as a backup in case crew cannot make it for whatever reason is something I recommend. Crewing from drop bags is another option that reduces the amount of items you will need to carry from the car to the aid station. Seriously consider crewing from drop bags for any race that has you parking in one location and walking to the aid station. Finally, have a discussion with your runner about their finish line expectations. Having them designate a bag that has all the items they want at the finish line is super helpful. Also, find out if there is anything specific they will want immediately after finishing so you can have it ready and waiting. Race Day: All the Crewing! When it comes time to put everything in to action, once your runner has started, immediately go to the next crewing location. While I have not yet gotten lost, thank you offline Google maps, I have had at least one time where the initial route I wanted to take was closed, and the alternate route plus the time lost on the closed route, tacked on an additional hour. This does bring up another point which is to research each route between crewing locations as thoroughly as possible. Many times I will use the directions that the race provides in tandem with my location in offline Google Maps. That said, if the directions that I can bring up in offline Google Maps matches the directions from the race, I will definitely use Google Maps alone. Once at a crewing aid station (AS), get setup for your runner. I like to make sure everything that was indicated as an essential for that AS and what my gut says they will want is laid out and visible. This allows your runner to quickly see all the items, and it acts as a reminder for what they initially said they would need. A lot of time can be saved and lost at an AS, so make it easy to grab and go. Setup near the AS, don’t make your runner tack on extra mileage by straying from the chute. This will also make it easier for you to quickly refill water or electrolytes. When it comes to what you use to make this setup work, it really depends on the logistics of the location and weather conditions. I have used a towel on the ground, the back of my Outback if I can get close enough, or a small portable table. Sometimes you are following your runner into a tent, so the gear has to be portable. Carrying something to protect all this from the elements, be it a trash bag, a tarp, or a plastic container, is a good idea for sure. It doesn’t have to be super high tech, as long as you can easily go from displaying the kit to getting it packed up and moving on to the next location quickly. Don’t be the reason your runner wastes time at an AS, be organized and ready. One thing to note here: there are some races, like the Bear 100, where access to the runners drop bags are only allowed once the runner has arrived. This is done to decrease traffic inside an aid station. 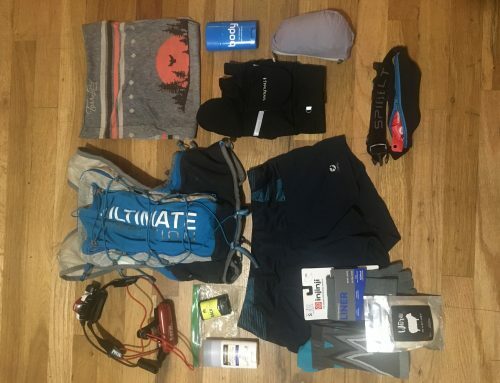 The Bear 100 is also a race where using drop bags as the main place for most of the gear is critical as the logistics of getting to all the locations is difficult. At the Bear specifically volunteers would grab the runners drop bag and bring it to you, which allowed me to focus on Jameson’s needs the entire time. Ok, so you made it to the AS, and you are all set up, now what? The reality is that you will be doing a lot of waiting. This is the hardest part of crewing, particularly in races where there is little to no communication regarding the status of your runner. I use this time to check in with myself, and make sure I am eating enough and hydrating. One item I still need to work on is napping. I have never been a person who takes naps, but when you are crewing the longer distances a nap is incredibly important. Having a solid idea of your runners expected pace will do wonders to help make napping easier. Other than self care, take the time you have at each location to interact with other crews, as well as the aid station volunteers. Many times you will be hitting each aid station at the same time as other crews, thus creating a micro community during the race. This is one of the aspects of crewing that I truly enjoy. 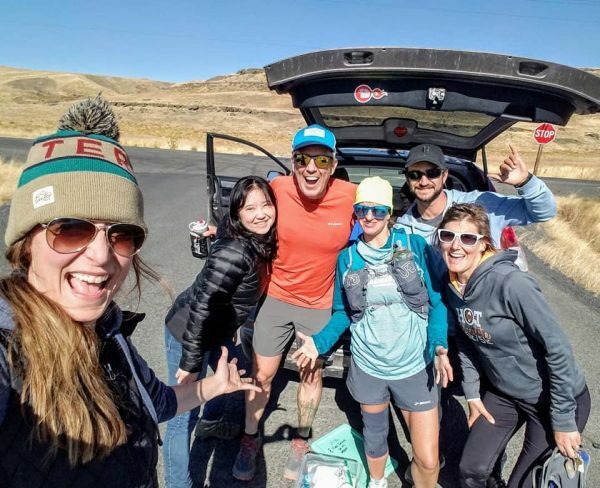 The camaraderie is fantastic, and each crew is there for a singular purpose: to help a friend meet their running goals. As with the aid stations, go to the finish line immediately after your runner leaves the last AS you will crew them at. This will give you the time you need to setup a spot at the finish for you runner to relax at. If you can, choose a spot close to where they will actually finish. Once you have things set up, take the remaining time to figure out where the food and libations are, where the finisher times are being posted, when awards will be handed out (if applicable), and, if there is a bib number raffle, whether your runner has won something. Ultimately your job at the finish line, prior to your runner arriving, is to get an understanding of where everything is and who might have important racing information. That way, when your runner asks you a question, you either know the answer or know exactly who to go to and get the answer. Once you have the lay of the land, make sure you get yourself something to eat, and are staying hydrated. While the finish will be less hectic then at an aid station, once your runner arrives you will be focused on getting them as comfortable as possible, so making sure you take care of yourself before they arrive is of utmost importance. Another aspect of being at the finish, particularly before your runner has arrived, is being able to cheer runners as they cross the finish line successfully completing their goal. It is an important supporting role you can play in assisting the race directors to celebrate the runners accomplishments. Realistically what happens after the finish line really depends on who your runner is. Plan to be available to help them in whatever capacity they need. Discussing what this might look like during your pre-race meetings is a good idea, but I also recommend to plan on being flexible should things change. Of course, if your runner is also your partner, your post race crewing responsibilities will be different than if they are a friend..
Crewing is one of the most rewarding things I have ever done. Not only does it give you the satisfaction of knowing you helped someone accomplish their goals, but it will also make you a better racer. Knowing what it takes to crew will make preparing the crew for your next race that much easier. Ultimately, as long as you keep you runner in mind, play to your strengths, be prepared, and take advantage of technology, you will experience the magic of crewing.